So, it’s true. The Minnow has been sold. 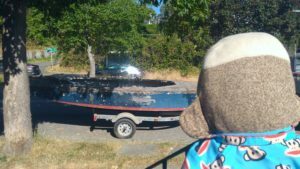 I’ll be taking it to the Wooden Boat Festival in Pt. Townsend this year, and it will leave there with a new skipper bound for Montana. There is a replacement. George met her today. 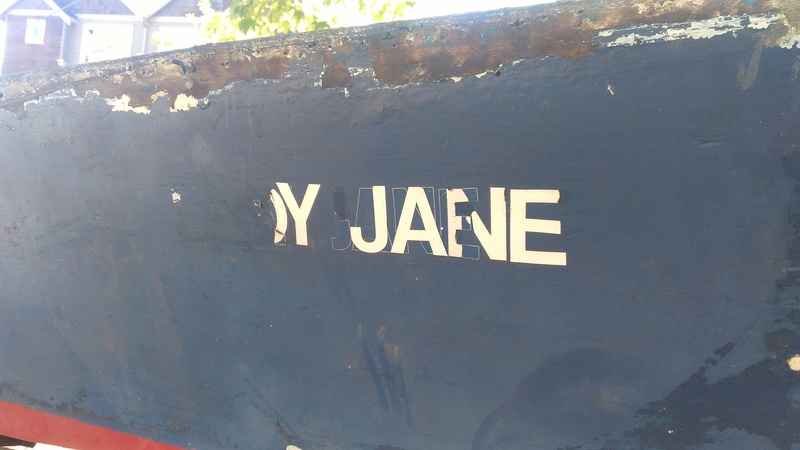 The ‘Lady Jane’ is a Lightning. Designed by Sparkman & Stephens in 1938, The Lightning was designed as a one-design racer that could also serve as a family daysailer. Originally done in wood, they are still produced in both wood and fiberglass versions. There have been over 15,000 produced, and I’ve now got sail number 6724. This number was issued in 1958, and the paperwork I got with it lists it as a 1962 home built boat. This sounds reasonable, if someone was taking their time. She comes to me from Silverdale; where she’d spent the last 20 years in a barn. 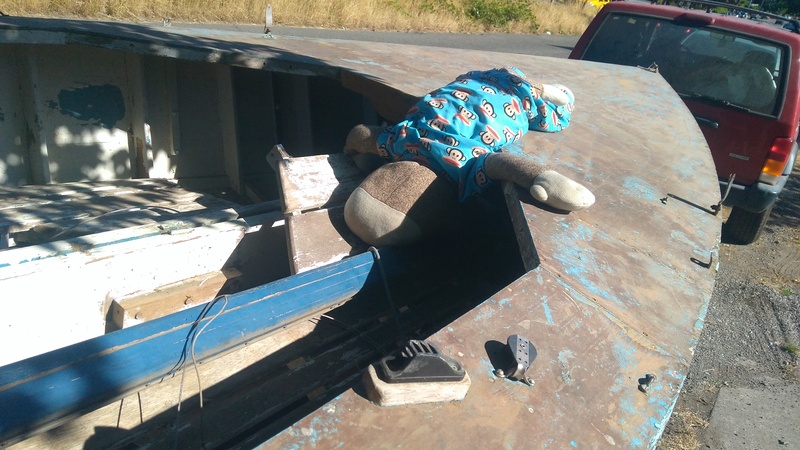 The owner had gotten the boat as a project for him and his son-in-law, and got as far as sanding the bottom to bare wood before a grandkid came into the picture and work came to a halt. He wanted to downsize and clear out his barn, so he reached out to a few non-profits in the area to see if they had any interest. They all passed, but a friend of mine connected with one of them put me in touch with the owner. Fortuitously, when I stopped at the Center For Wooden Boats this afternoon to look at their Lightnings, so I’d have an easier time sorting thru rigging bits and the remains of the mast, i found out that they de-commissioned an old lightning from their fleet a few years back, and they may have a replacement set of spars for sale. No word on how reasonable it’ll be, but it’s a good lead to say the least. 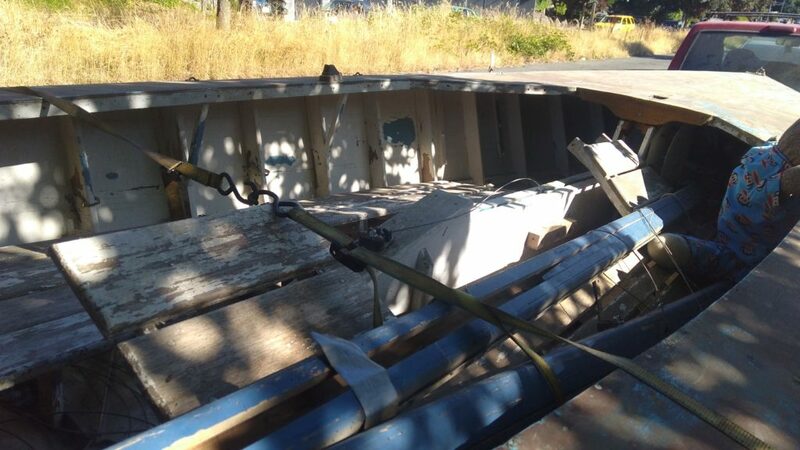 if i don;t get that, I will either fabricate a new wooden mast, or possibly fabricate a sealed aluminum mast out of aluminum box beam. 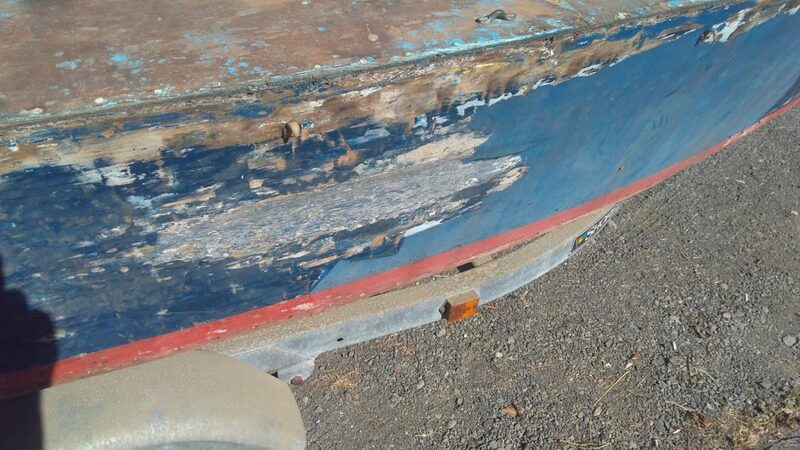 All the paint will need to be removed and then the boat will need to have the seams re-cauked. besides that, the worst bit on the boat appears to be this spot of dock rash on the side. It appears that someone tied the boat up to a dock with no fender and left it for a while, rubbing a flat spot. I’m open to advice on this one, but the current consensus seems to be towards an epoxy based repair, with alot of filler. 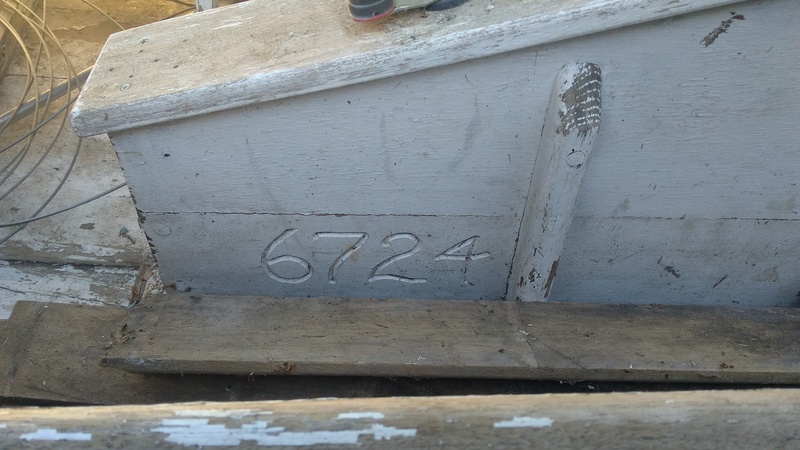 Luckily, I spent may weeks as a volunteer, restoring a Lightning hull down at the Center for Wooden Boats this winter, so i have a little more than a passing familiarity with the design. In addition, plans are still available from the lightning class association. The foredeck is in good shape and won’t require much work. 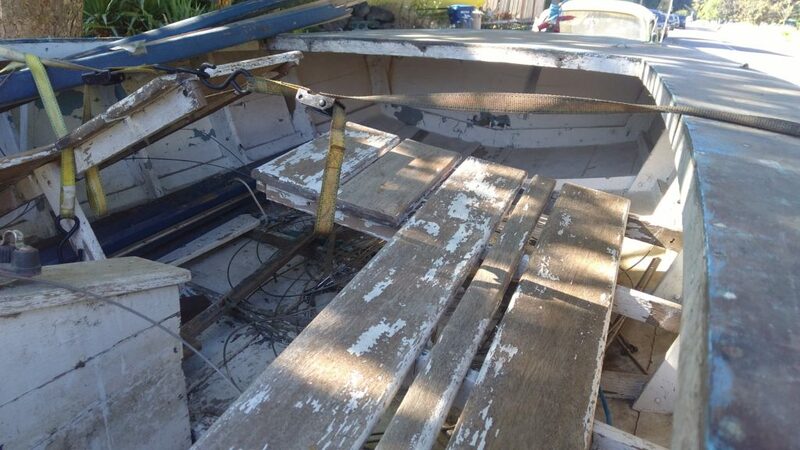 I haven’t even begun to sort thru the pile of bits in the cockpit; It looks like all the benches are there and in good shape, although unbolted from the boat. 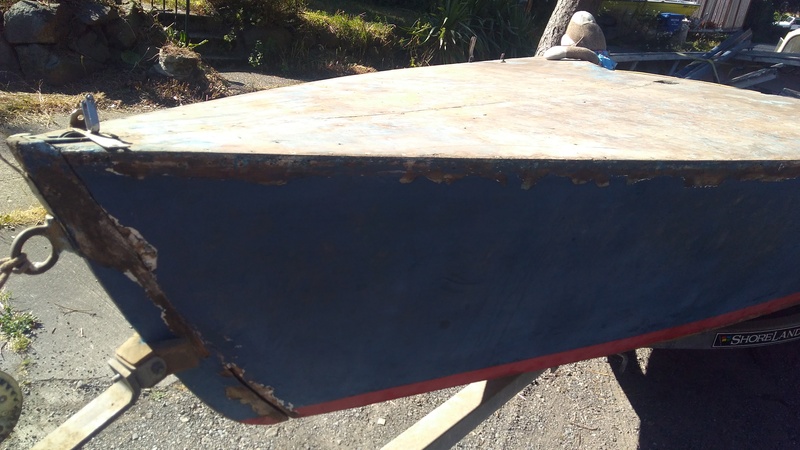 the rudder and keel went with it, and look to be in ok shape, although fairing and some minor repairs would be wise. George isn’t so sure about this boat as an overnighter. I assured him, with a boom tent it wouldn’t be so bad. 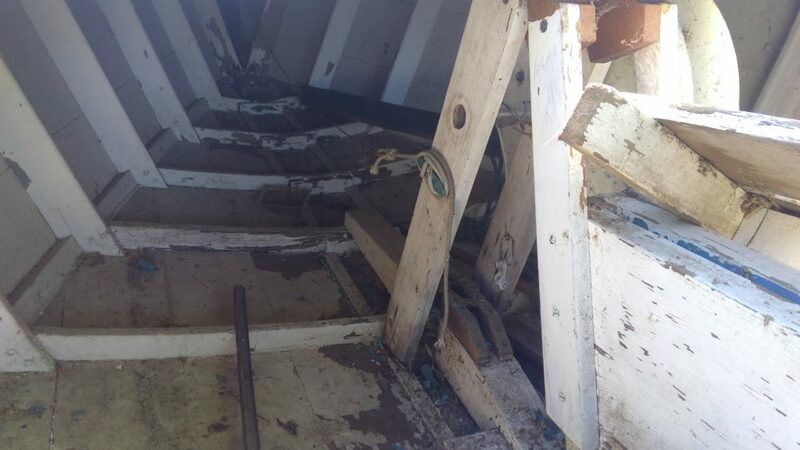 He did say the interior under the foredeck seemed to be in good shape. It’s a fairly flat bottom, though the Minnow makes it look absolutely sculpted by comparison. Supposedly really loves a good spinnaker run, because of the bottom profile. Although it didn’t come with a spinnaker, it did come with a cover and two (old) sets of working sails. Not sure what i’m going to do with them, to be honest. I may seek out a set of retired race sails, as they are pretty easy to get because this is such a big and competitive class in some areas- ones that would be way better than my current sets yet are no longer compeditive for racing are very reasonable. Maybe then possibly have these recut as storm sails? I dunno. There’s alot to get my head around. He does like the decks, and the little nooks to climb into, but the trade-off of speed and performance for an enclosed cabin have plusses and minuses he’s still weighing. I think he’ll come around.